If you are rockin’ an HTC Touch Pro2 (or one of the many carrier variants), chances are you are a power user when it comes to Windows Phones. For myself, the Touch Pro2 is the perfect form factor for a Windows Phone. The massive high- resolution screen, spacious QWERTY keyboard, in a fairly thin phone is the perfect balance of features and portability. When it comes to power users, there is one feature that we can’t seem to get enough of no matter what the specs are; and that is battery life. 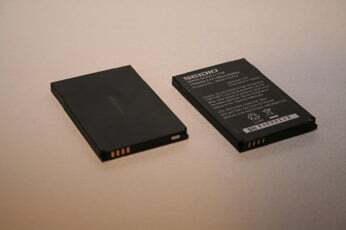 Traditionally, the quest for an extended battery meant compromises when it comes to portability because larger battery capacity meant larger physical size. 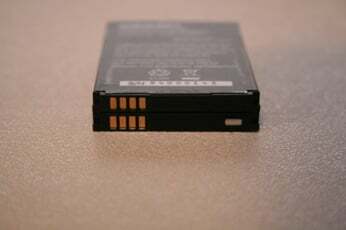 Seidio’s Innocell Extended Battery comes in an OEM form factor that gives you extended battery life without adding bulk or requiring a replacement battery door for your device. For the full review of Seidio’s Extended Battery, hit the jump. I’ve used a number of Seidio products over the years and I haven’t found a single one that suffered from poor build quality. 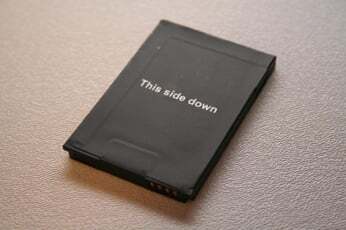 The Innocell battery feels perfectly solid, with no flexibility or give to it at all. The battery fits perfectly inside the Touch Pro2, and doesn’t require any fiddling or extra pressure to get it installed. From a pure specification standpoint, the Innocell battery is rated at 1750mAh; compared to the standard HTC battery at 1500mAh. How much extra time the 250mAh gives you isn’t an exact science, and will depend almost exclusively on how much you use and abuse your device. My own testing resulted in inconclusive hard data (the numbers were very close, but reproducing identical test scenarios was very difficult). 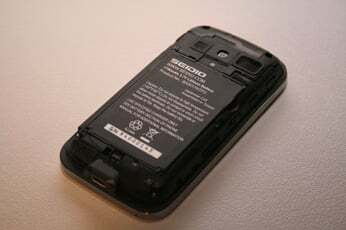 Personally I gained around an extra hour or so when switching to Seidio’s battery. My usage is fairly heavy throughout the day and I work in an area that is on the fringe of 3G coverage. Personally, at $49.95, I found Seidio’s Innocell Extended Battery to be a little on the expensive side; but I’m sitting at a desk for the majority of my time. On the other hand, if my primary battery were to fail, I would definitely spend the extra cash on the extended battery as it did give me a fairly significant boost in battery life. If your phone always seems to be stuck on empty, or your battery just can’t keep up with your habits; give Seidio’s Innocell Extended Battery a look.